The Omotemon-bashi Bridge connected the artificial island of Dejima, located in Nagasaki bay, with the mainland of Nagasaki between 1641 and 1853, the period in which the Netherlands was the only Western country permitted to trade with Japan. The bridge disappeared after Dejima lost its purpose at the end of the 19th century when the country opened its ports. As a result, Nagasaki developed into a large port city and Dejima was swallowed up by the city. With the completion of the bridge, the original point of access to Dejima will be restored for the first time in 130 years. The symbolic meaning of the bridge is tremendous: Nagasaki’s identity is largely based on the historical presence of Dutch people among them. Local citizens are also proud of the fact that goods and knowledge from all over the world were brought into the country via the wharf of their small seaport and the Omotemon-bashi Bridge, and vice versa, Japanese products were internationally exported via the same narrow bridge. 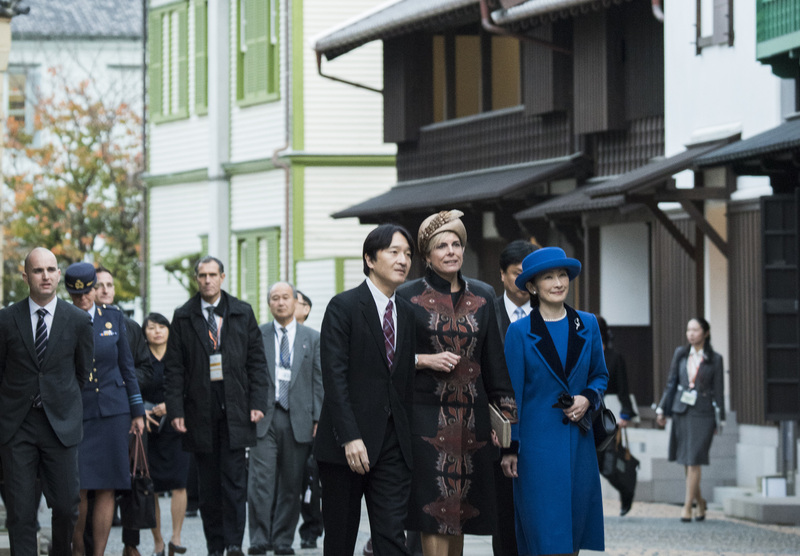 The climax of the Holland-Kyushu regional focus was the completion of the Omotemon-bashi, which was also the occasion for a visit by Princess Laurentien to Nagasaki. 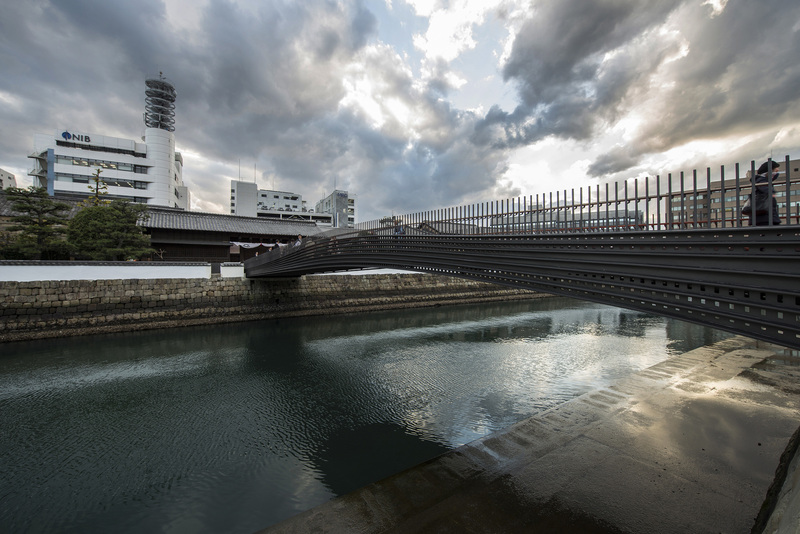 On November 24, the official opening ceremony of the new Omotemon-bashi Bridge took place. 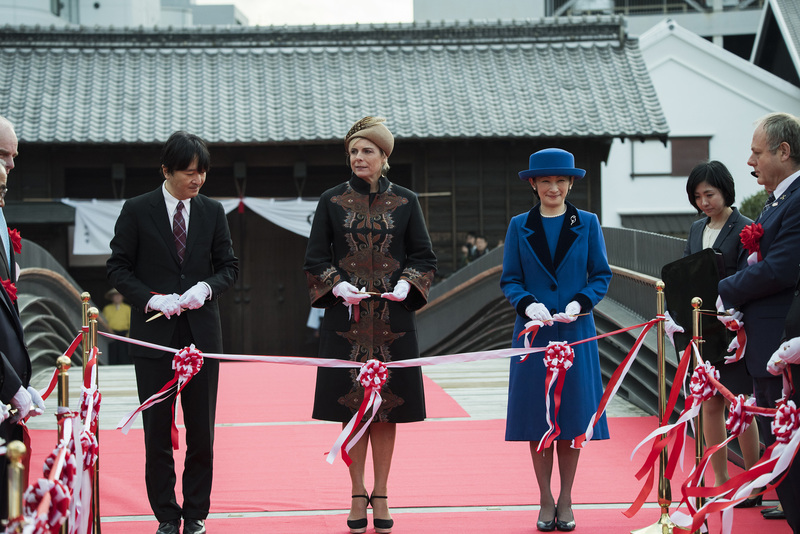 Princess Laurentien attended together with Prince and Princess Akishino. The ceremony started at 3:00 pm and was opened by the mayor of Nagasaki, Mr. Tomihisa Ta’ue, who thanked the embassy and DutchCulture in his speech for their contributions to the cultural life of the city, and was followed by speeches of Princess Laurentien (attached below) and Prince Akishino. The traditional ribbon cutting was done by the three royal highnesses, together with a group of VIPs including the governor and mayor of Nagasaki, the mayor of Leiden, Ambassador Jacobi, Ambassador for Cultural Cooperation Uijterlinde, Netherlands Foreign Investment Agency (NFIA) commissioner Jeroen Nijland, and local authorities. 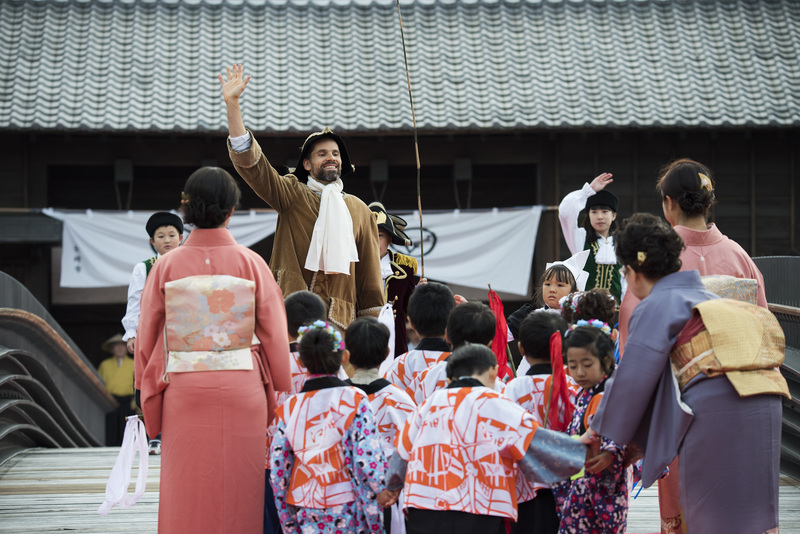 After the cut, the audience was treated to a performance on the bridge, with children moving from the ‘landside’ as well as the ‘Dejimaside’ of Nagasaki meeting at the centre of the bridge. Afterwards they invited the VVIPs to cross the bridge together. Dutch modern dancer Armand van den Hamer, based in Nagasaki, provided the choreography, which received great response from the audience.